Apple bars have been one of my favorite recipes, my mom made it for me and my siblings when we were kids. My family loves to celebrate holidays, anniversaries, birthdays, and the list goes on. My sister in law had a birthday last week; it was one of the big ones. It was the big five-oh. Yeah, she turned 50, which meant that we had to plan a party for her. Now don’t get me wrong I love these family get-togethers; they are a ton of fun. We get together for the day and visit and eat. What could be more fun? While we were planning my sister in law’s party we decided to bring her favorites. Of course, we had birthday cake. My oldest sister always makes the birthday cakes, her cakes are always wonderful. We decided to bring some bars along with the cake. So I offered to make my apple bars. My sister in law loves these bars and often will request that I make them when we are having a gathering. 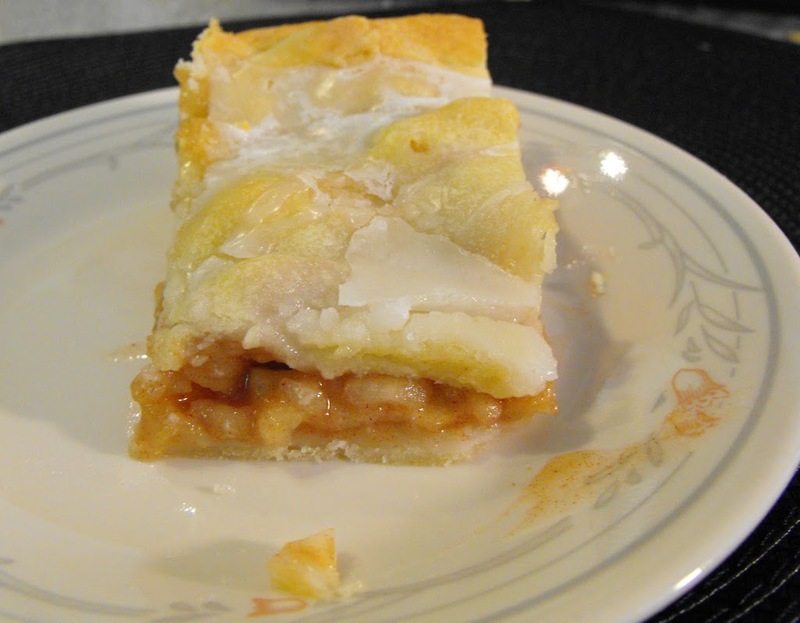 These apple bars are made in a jelly roll pans so they make a lot of bars. Yes, they are a little time consuming, but I think they are well worth the time to make. 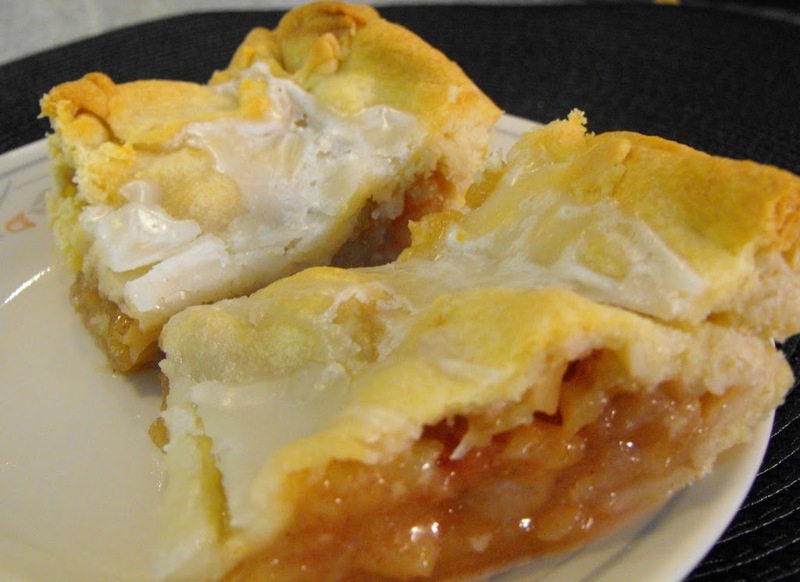 These are very tasty from the buttery pastry to the apples. The cinnamon can be smelled throughout the house while they are baking. I like to use Macintosh apples; I think they bake up very well in these bars. Enough milk to make it the right consistency for drizzling over the bars. Cut the butter into the flour and salt as you would for a pie crust. Add the milk and the egg and mix in by hand. On a heavy floured surface knead the dough slightly, adding more flour if the dough is too sticky. Roll the dough out to an 18 by 12 rectangle (a jelly roll pan). Fit the dough into the pan. Peel and slice apples thinly. You will want at least 4 heaping cups of sliced apples. Combine the sugar, cinnamon, and flour together. Add this to the apples and mix well. 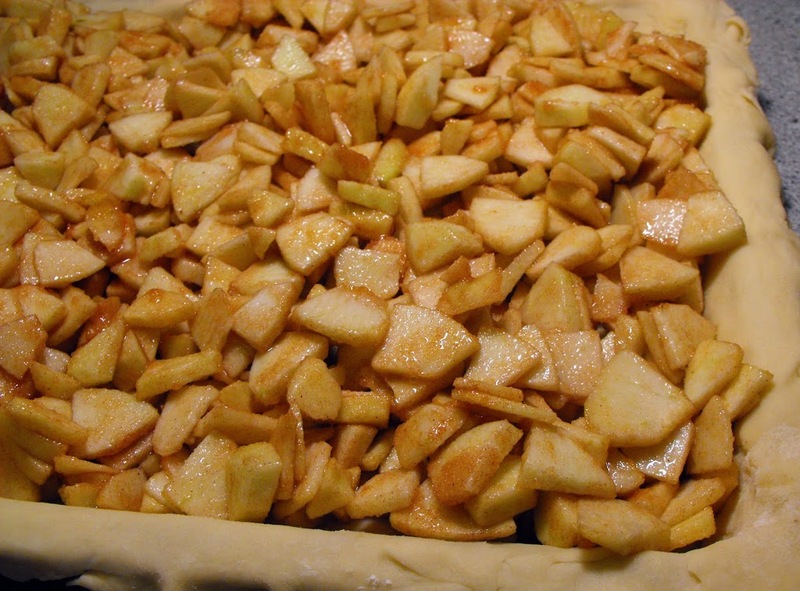 Pour the apples into the baking dish that is lined with the dough. Prepare the second ball of dough as you did with the first. Cover the apples and seal the bottom layer of dough with the top. Bake in a 375-degree oven for 35 to 40 minutes. Combine the powdered sugar. butter, and salt and mix together. Add enough milk to make a runny icing. Drizzle this over the bars once they come out of the oven. You will want your icing to be quite runny so that you can drizzle it over the bars. I like to drizzle the icing over the bars immediately after they come out of the oven. I have a feeling my kids would gobble these bars right up and so would I!